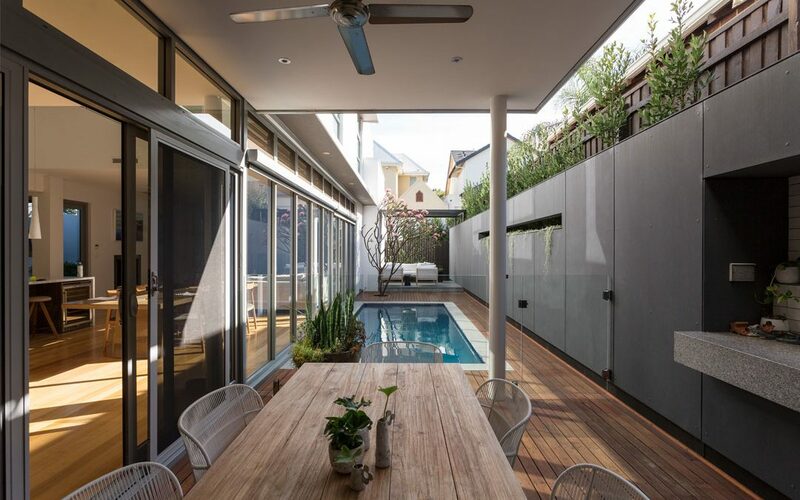 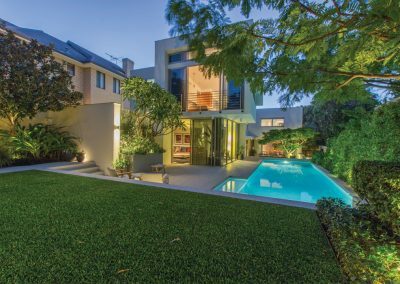 Expertly completed by Tim Davies Landscaping, these tranquil pool surrounds elegantly transform the narrow courtyard into a welcome area for socialising and relaxing. 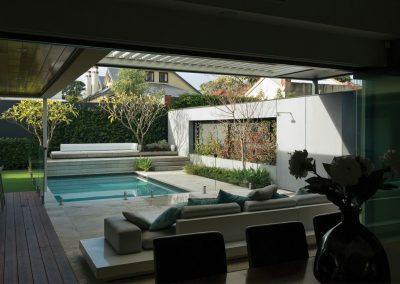 Showcasing a pre-finished EQUITONE-clad wall with exquisite detailing, the striking space perfectly complements the home’s modern architecture. 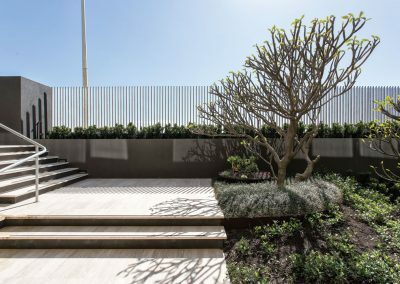 The grey boundary wall’s sharp lines are instantly softened by a dichondra ‘Silver Falls’, which cascades from a long highlight planter. 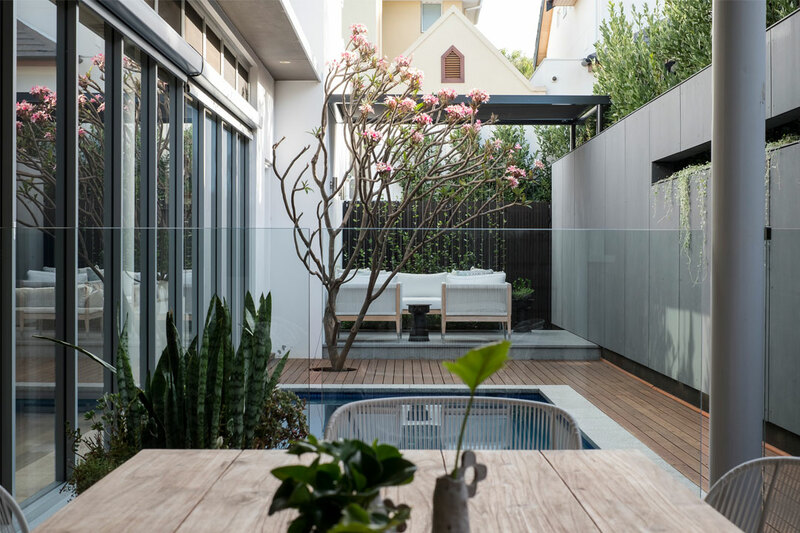 Offering a splash of colour, a narrow hedge of bay trees were positioned behind the wall to provide privacy from neighbouring properties. 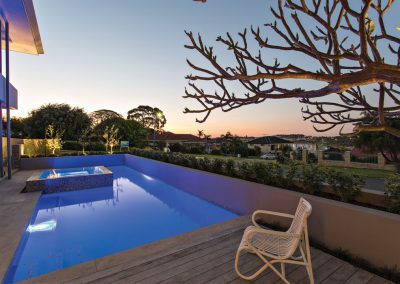 Carefully planted into the jarrah decking, a fragrant pink frangipani tree produces beautiful reflections on the pool’s surface. 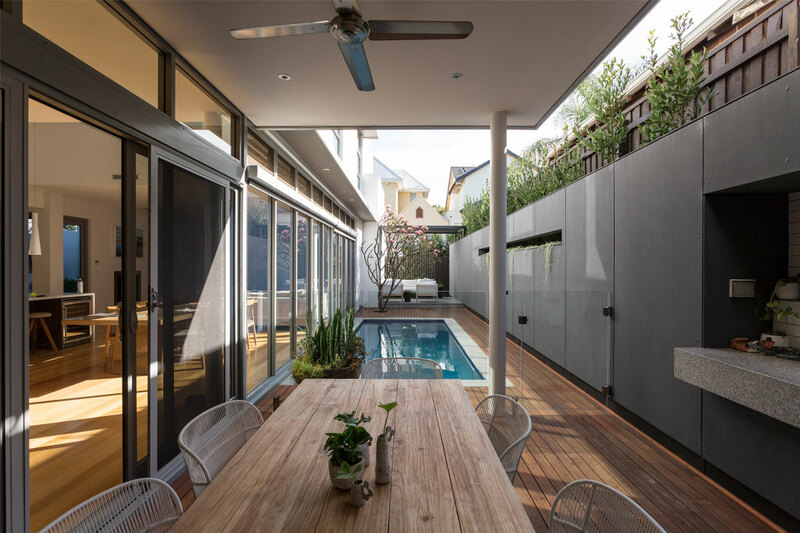 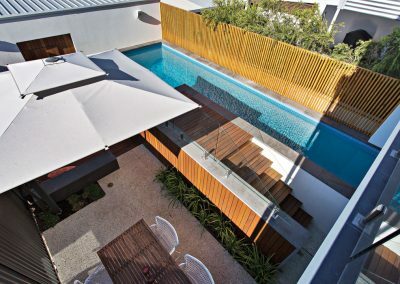 Acting as a green partition, climbing star jasmine was incorporated into a timber screen, concealing the pool equipment from view. 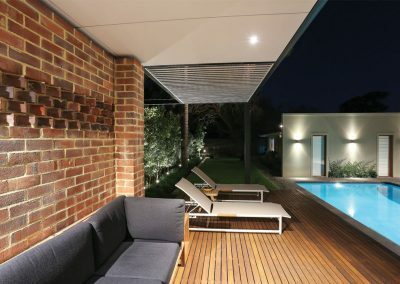 Sheltered by a retractable shade structure from markilux, a raised platform at the far end of the courtyard provides the ideal place to relax throughout the year. 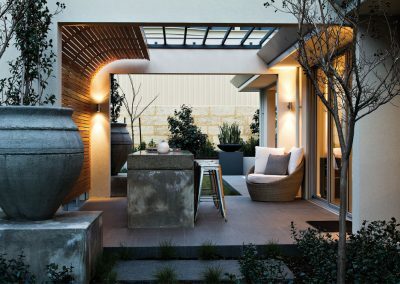 Seamlessly integrating the indoor and outdoor spaces, the alfresco area features a barbecue nook that’s ideal for the homeowners’ love for entertaining. 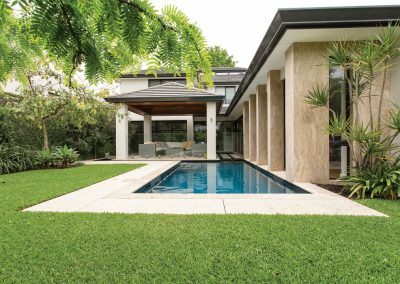 To provide the homeowners’ children with a play area, Tim Davies Landscaping used soft and durable ‘Velvet Buffalo’ turf for the updated verge space. 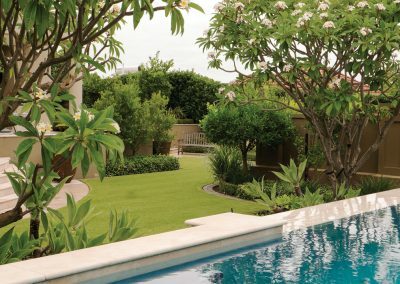 Tim Davies Landscaping is a multi-award-winning company that strives for excellence in the delivery of unique landscaping solutions. 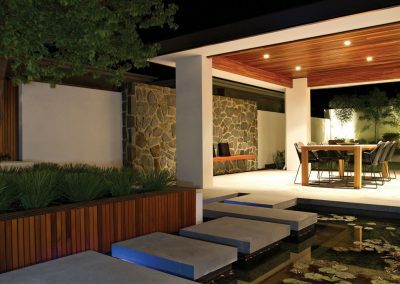 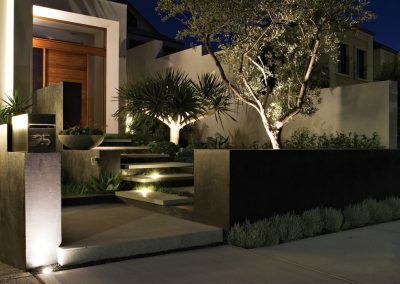 For innovative and functional outdoor spaces, look no further than Tim Davies Landscaping.